SPRINGFIELD, Mo. 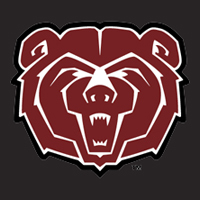 - Missouri State University announced Wednesday (Feb. 22) that it will partner with Collegiate Consulting to manage ticket sales for its intercollegiate athletic programs. The three-year contract was approved by the MSU Board of Governors on Feb. 17 and executed by both parties this week. The agreement will focus primarily on basketball and football ticket sales with packages being developed in volleyball, baseball, softball and other sports as well. Collegiate Consulting will manage the Bears’ ticket sales with a full-time, professional outbound sales staff headquartered on the Springfield campus. The staff will focus on season ticket sales, group sales and single-game sales and include a full-time staff of three – general manager and two account executives – to support Missouri State’s existing ticket sales efforts. Missouri State Director of Athletics Kyle Moats said the partnership will enable the department to strengthen existing relationship and provide an opportunity to develop new relationships. Collegiate Consulting has provided services to more than 250 institutions throughout all levels of intercollegiate athletics. The outsourcing of ticket sales has witnessed exponential growth in the past 18 months and follows the long-standing trend of universities outsourcing their licensing, sponsorship and broadcasting rights.